Plastic has grown to become one of the largest dangers to our environment due to its large usage around the world. 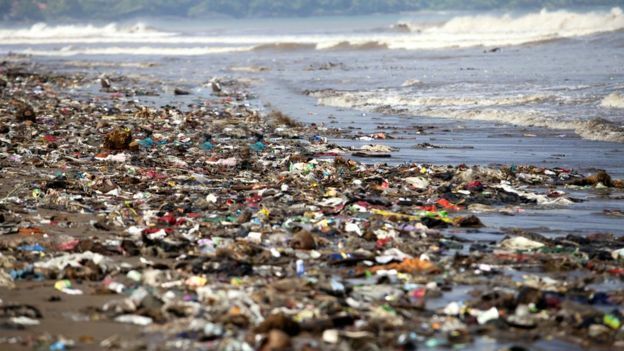 Global plastic production has dramatically increased from 15 million tonnes in 1964 to over 311 million tonnes per year and is expected to rise further. The main contributor to this figure is packaging, which uses more plastic than any industry and is estimated to account for around a quarter of all plastic production worldwide. Many companies opt for plastic because of its versatile nature and cost advantages, but these aren’t the only 2 factors that should be taken into account and many global companies are recognising this. The worrying rise in plastic usage has gained recognition in recent years, but significantly started to catch the public eye through the nature documentary that aired in late 2017, Blue Planet II. With this increased public support, the British government announced that it was considering a ban on all single-use plastic products, the BBC announced its intention to ban these single-use products from its organisation by 2020 and even Queen Elizabeth II joined in by banning plastic bottles and straws from the royal estates. Therefore, you could say thatinterest has increased significantly. Single-use plastic products include useful, yet problematic items such as cotton buds, cutlery, plates, straws, drink stirrers, bottles and most food packaging. In addition to fishing gear, these things account for around 70% of the marine litter in Europe. This is an astonishing figure but by following a few simple tips, you can do your bit to help reduce this. 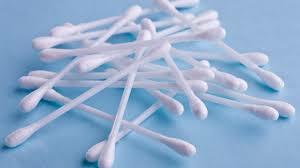 Cotton buds – Many people decide to try and clean their ears by getting in their with a cotton bud and trying to scoop out any earwax. However, this is not recommended as you’ll most likely end up pushing most of the wax deeper into the ear canal which can seriously damage the sensitive ear canal skin, the eardrum or end up blocking your ear and becoming slightly deaf. None of these outcomes sound very appealing, so instead, first try to soften the wax by lying on your side and inserting an earwax softener (baby oil, mineral oil, olive oil) into your ear and leave it for about 5 minutes. Then after a day or two of repeating this, gently squirt some warm water into your ear canal using a rubber-bulb syringe. 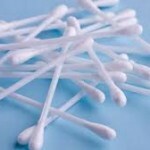 With a ban on cotton buds having been proposed, you may as well start to use this safer and more environmentally friendly method of cleaning your ears. Plates and cutlery – When it comes to having a large gathering or party, it’s probably inevitable that you won’t have enough plates or cutlery for everyone. So you decide to nip to the shop and buy some cheap disposable items that you can throw in the bin and save on washing up at the same time. Whilst this may be handy, it produces unnecessary waste. Why not ask your neighbours or friends whether you could borrow their plates and cutlery for the day, if you promise to wash them up afterwards. This might be more work for you, but it would reduce the waste produced considerably.Alternatively, make sure to buy paper plates if borrowing isn’t an option. Straws – Whether you’re purchasing straws for a party or for general use, there are viable alternatives to plastic straws. Paper, Biodegradable, Stainless steel and Bamboo straws are significantly better to use and come at the same price, so there’s no major reason to continue using plastic straws and creating increased marine litter, putting more sea animals at risk. if you’ve never seen the video of the turtle with a straw up its nose, then please give it a watch here. 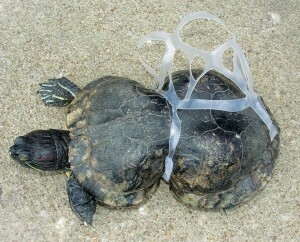 It’s a difficult watch but shows just how real the effects of plastic are. Plastic bottles – It’s difficult to avoid using and buying plastic bottles, especially when you’re craving a refreshing Lucozade, but why not try investing in a water bottle to keep you refreshed instead? Drinking water has a number of additional benefits such as flushing out toxins, boosting your immune system, improving your complexion and preventing headaches. This also makes more sense if you like to buy bottled water, because tap water is just as safe as bottled water (if not more) and genuinely quite similar with many reports finding that almost half of all bottled water is derived from the tap. Food packaging – When doing your weekly shop or picking something up for tea on the way home, avoid buying products that use black plastic as this can’t be recycled. This is because the containers don’t reflect light meaning the scanners can’t sort them properly and could end up contaminating other materials. Many people have a morning ritual of picking up a coffee from the nearest Costa or Starbucks to prepare themselves for the long day at work that lies ahead. However, this is very damaging to the environment as these cups take around 20 years to decompose if just thrown away, which is often the case due to the inner polyethylene liner making them difficult to recycle. The best option to take if you need your coffee to function properly at work is to buy a reusable cup. Both Costa and Starbucks sell these in store and also offer a discount of 25p on each drink you purchase when using your own cup. This means you’ll make your money back and continue to save in the future. If you don’t fancy a reusable cup and want to continue with the normal cups, make sure you keep hold of it and take it back into the store the next day to put into their dedicated recycling station. This ensures that it’ll be recycled properly.